Southern Kings determined to finish season on a high - SABC News - Breaking news, special reports, world, business, sport coverage of all South African current events. Africa's news leader. Kings Head coach believes his side have learnt lessons and have improved over the years. With six matches remaining in the Guinness Pro 14 season, the Southern Kings are determined to finish on a high note. The Kings, after a two week break, return to action on Saturday when they take on Ulster in Belfast, in Northern Ireland. The Port Elizabeth-based side fared badly last season, winning only one game throughout the campaign. They have bettered that record this season with an extra win. “I think the guys are showing that they have learnt, especially the guys who played in last season’s competition. It’s good to notice there is improvement and the new guys we have included have improved. In terms of going forward, this team, over the years, has proved they are a team that fights until the end. 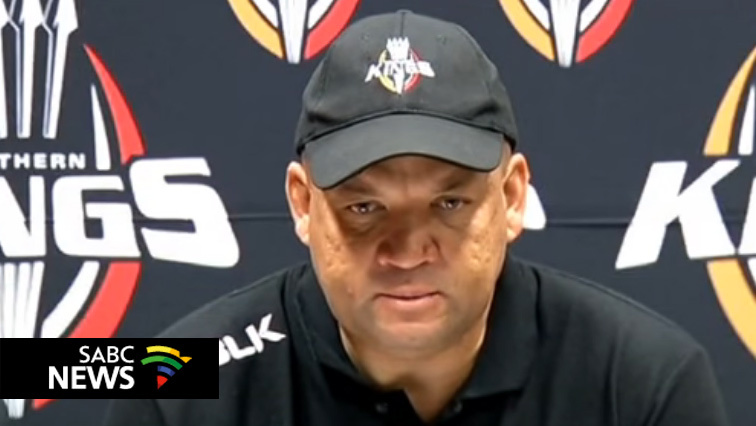 We’re really focused to ensure that we end this season on a good result,” says Deon Davids, the Kings Head coach. This entry was posted on 19 Mar 2019,05:47PM at 5:47 PM and is filed under Sport. You can follow any responses to this entry through the RSS 2.0 feed. Both comments and pings are currently closed.